If you have a PS2 gamepad + Converter this "digital/analog button" is just the the same analog button as usual. I managed to get it working! Thanks a heap. I finally bit the dust and bought a custom stick. It was made by koi of Shoryuken fame. 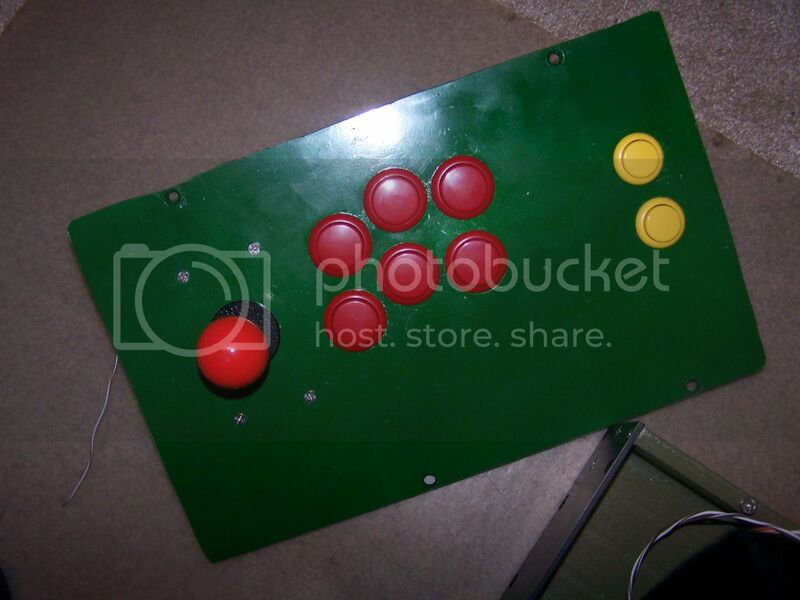 Sanwa sticks and buttons. I photoshoped this image I stole from a Forgotten Truce for the art. I really like it, but ever since I bought it my wallet stopped talking to me. I'm not sure what to do, because buying it candy will only make it angrier. Ugh, should have asked for universal PCB in it. That way you eliminate the need for converters, and those weird-looking cord loops. As for me, I usually play with a modded HRAP3. Changed the buttons to Sanwa, put in octagonal gate, and a spiffy Seimitsu ball top. I don't like small sticks so the HRAP bulkiness is great. 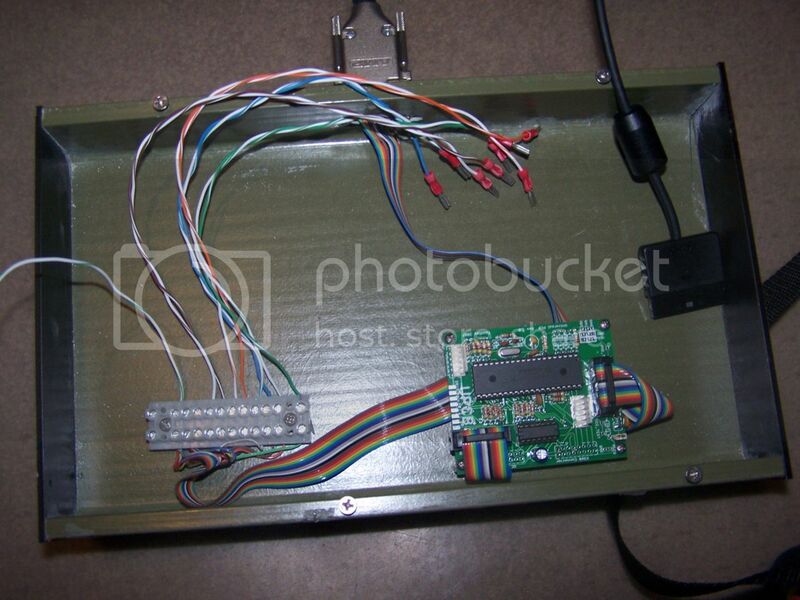 mir wrote: Ugh, should have asked for universal PCB in it. That way you eliminate the need for converters, and those weird-looking cord loops. I thought about that, but there exists a good ps/ps2 converter for just about every console, and a converter imo is more convenient to find and use that a project box setup. Anyways, most fighting games now are on the ps2 and ps3, so it's not really a problem. Well, I guess if it works, its fine, but yeesh. Still, I like your choice of colors in the HRAP3. 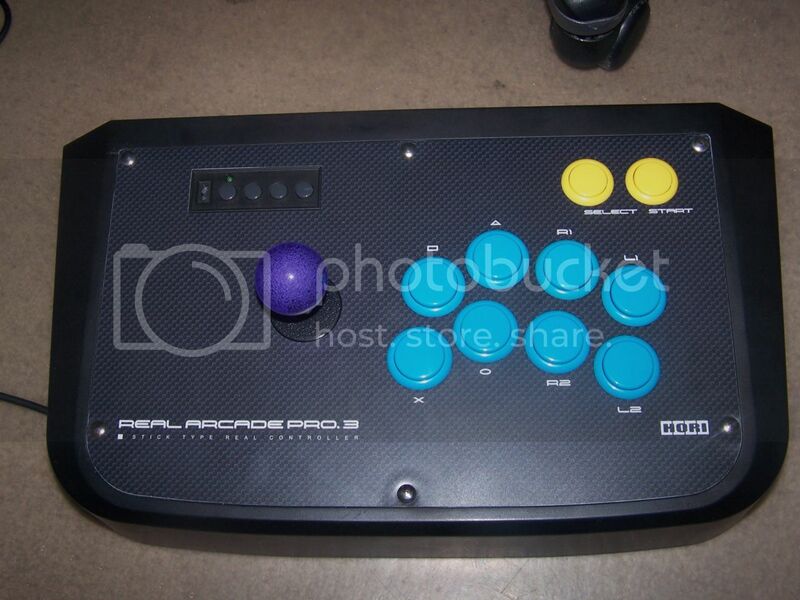 Did you switch out the entire stick to Seimitsu, or just the balltop? I've always wanted to try one of their sticks. The Seimitsu sticks are pretty much identical to Sanwa...to the point where even the ball tops are interchangeable. So no, no real point changing the entire thing...I just swapped the tops. I hadn't really thought about that. I don't know, maybe when my PCB goes bad I'll try out a universal one, but for now I'm happy with my setup. 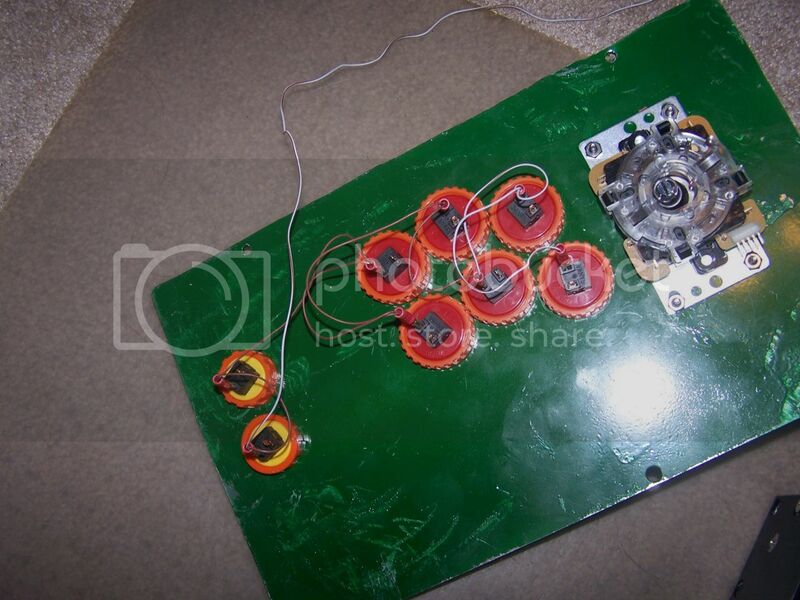 mir wrote: The Seimitsu sticks are pretty much identical to Sanwa...to the point where even the ball tops are interchangeable. So no, no real point changing the entire thing...I just swapped the tops. I'd always heard that the Seimitsu was closer to an American stick, in that it had a harder spring and a much smaller deadzone, but maybe not? I'd still like to try it out, maybe whenever I decide to get a second stick (so probably not for a while).